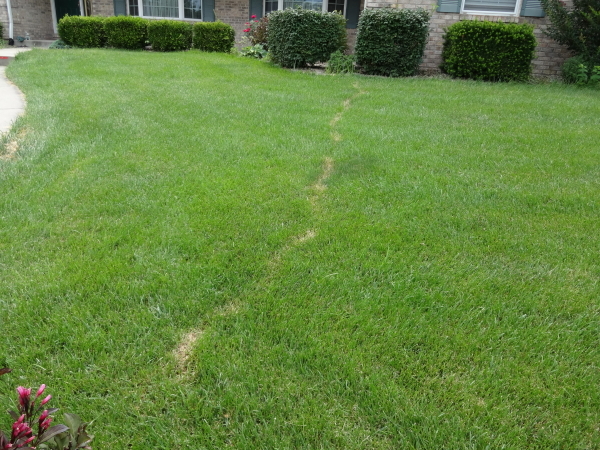 Moles are active year-round and can vary in depth which they dig their tunnels, the best time to bait moles is when they are active in breaking the surface of the ground. A mole’s diet is restricted to ground invertebrates such as grubs, millipedes, ants and the like. However, a mole’s primary food source is the earthworm. Our mole control program consists of baiting active runways with bait that provides a lethal dose of Bromethalin. This bait so closely mimics the earthworm that moles respond to it naturally and is the only product on the market registered with the EPA with proven laboratory results. Within 24 hours of consumption a mole will expire, thus stopping its destructive damage to your lawn.